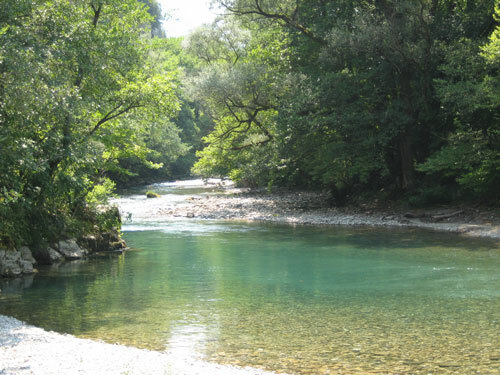 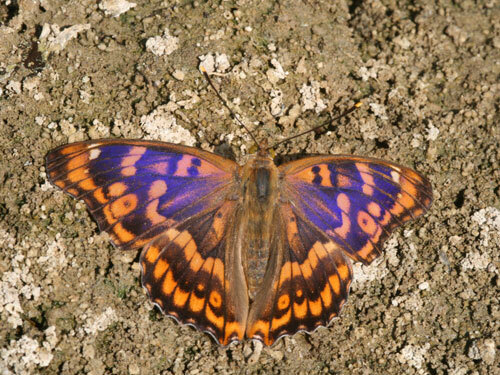 By far the most restricted of the European purple emporers Apatura it is found very locally in watery areas sporadically in southeast Europe. 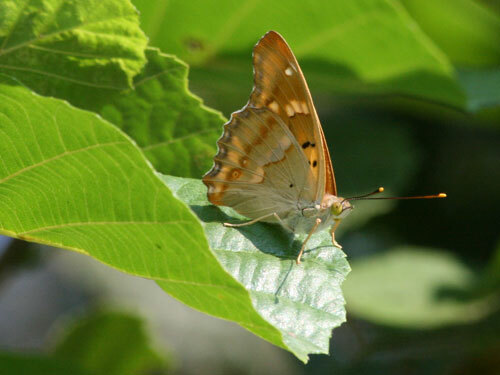 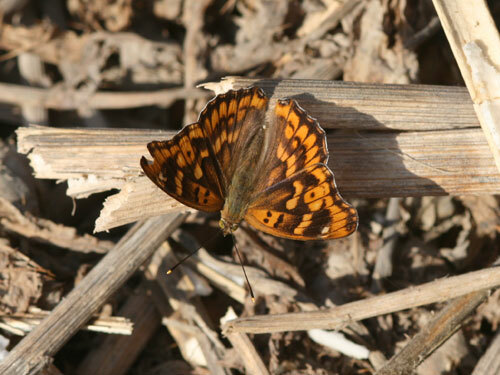 Identification & Similar species: Closely resembles the orange-brown form of the lesser purple emperor A. ilia. 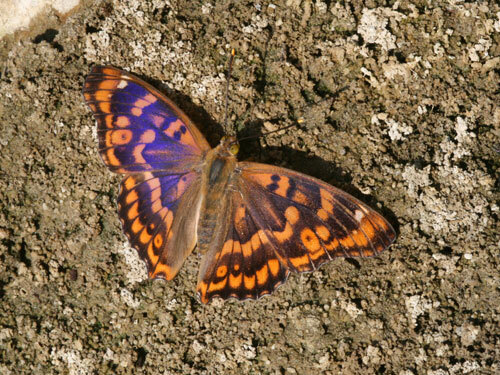 The black pupil in the orange spot in space 3 is small in the current species on both the upper and underside of the forewing. 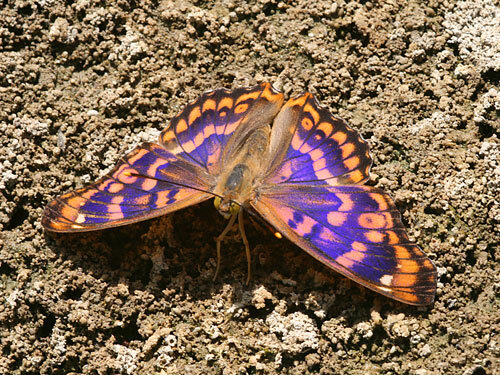 The butterfly is generally rather smaller than the other similar species, although this is rarely diagnostic. 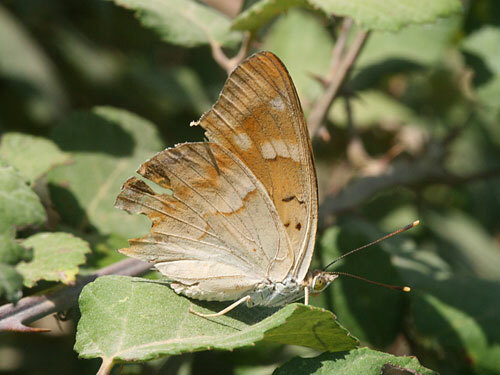 The discal band is abruply discontinous on the outer side between spaces 4 and 5, clearly visible on the upperside although faint on the underside. 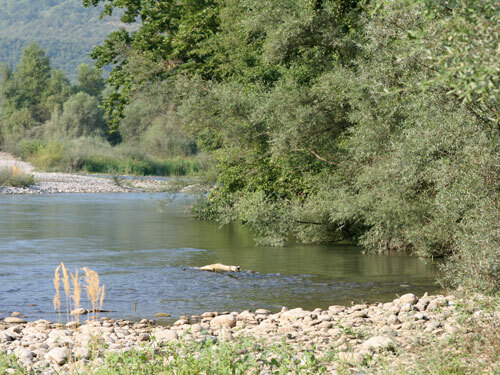 Distribution & Flight: Sporadic along the Danube from south Austria. 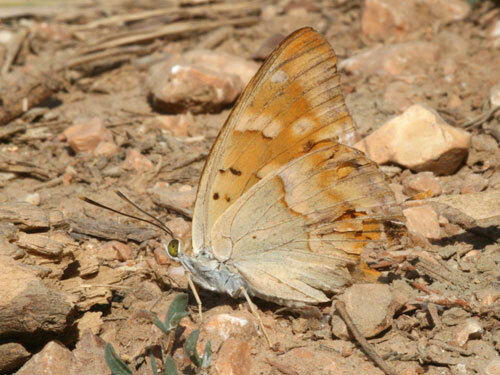 Also sporadic in Greece: W, N, E. End of May/ June and a second brood end July/ August. 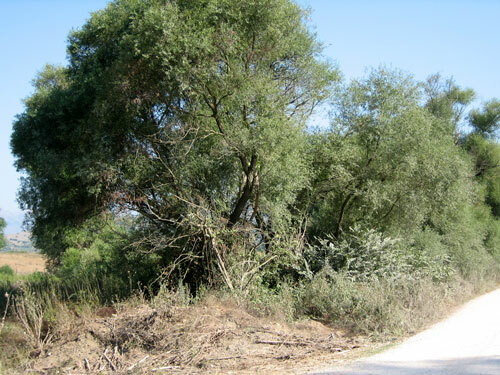 Habitat & Behaviour: It is always(?) 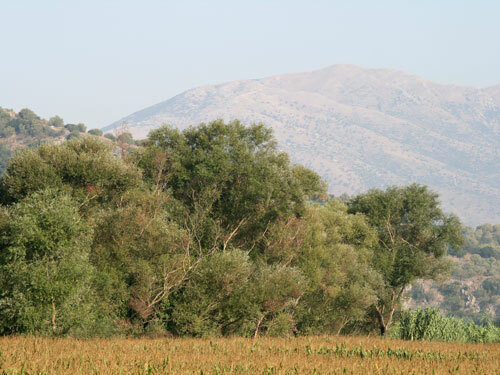 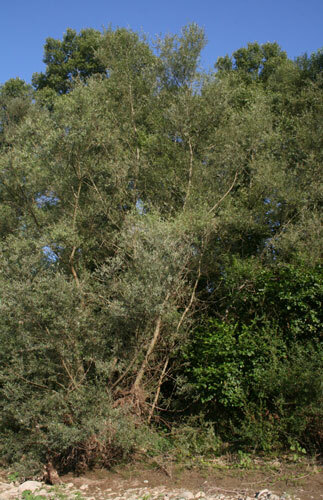 associated with water - rivers or irrigation channels - with the larval food plant slender leaved willow, Salix alba. 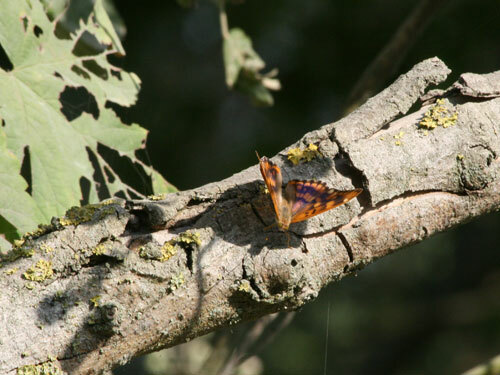 As with the other purple emperors Apatura it soars around the foodplant flying powerfully in and out of riverside/ woodland edge trees from ground level but much more frequently higher up at 5 to 10 meters or more. 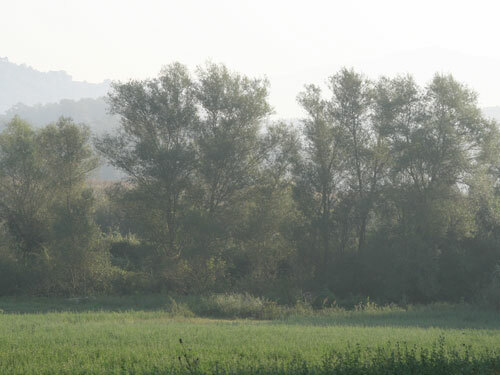 Flies from early morning, stopping as early as 10am in very hot weather (as experienced in August 2008 where temperatures were 30degC by 10am and around 38degC by early/mid afternoon). 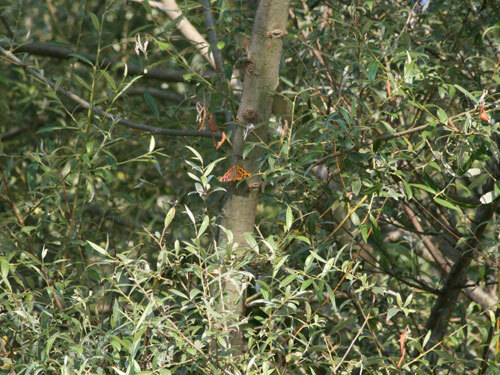 Will rest on tree trunks about 5m above the ground to warm up and may rest lower down on leaves with wings closed.